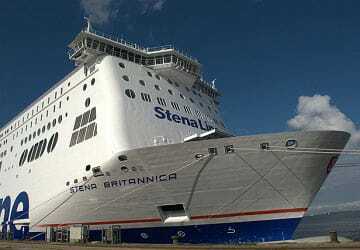 The Stena Britannica is 1 of the 2 largest superferries in the world and sister ship to the Stena Hollandica. 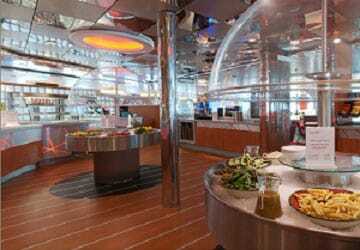 Launched in 2010, the Stena Britannica's modern onboard facilities include 2 restaurants, 3 bars, a coffee bar, an onboard shop, an internet room and even a cinema. There's a range of high quality cabins onboard the Stena Britannica, all with en-suite facilities, towels and shower gel. 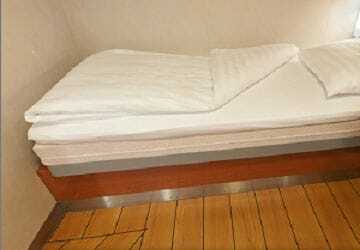 Each cabin also features high quality mattresses so you'll enjoy a great night's sleep. 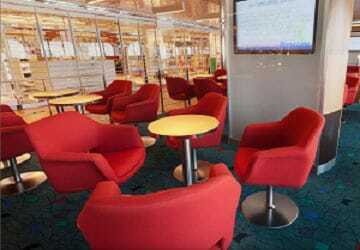 For reserved seating, upgrade to the Stena Plus Lounge where you'll find a wide choice of seats for you to relax in as well as complimentary hot and cold beverages, a choice of newspapers. 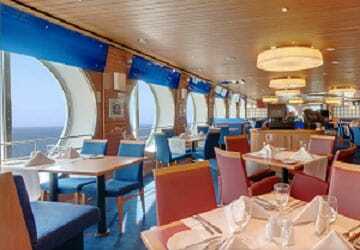 Choose from a variety of places to eat and drink onboard during your crossing and menus to suit all at the Taste restaurant or Metropolitan á la carte restaurant. There's a range of bars too including Riva bar, Taste wine bar, Sundeck bar (weather dependant)and the Barista coffee bar. There's plenty of bargains to be had in the Stena shop with a range of gifts, jewellery and fragrances - all cheaper than the high street on offer. 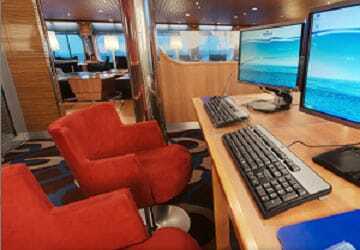 The Stena Britannica also includes a Bureau de Change, the C-View lounge, a Gaming area, free WiFi throughout the ship, a cinema, a news room/magazine lounge and an internet room. 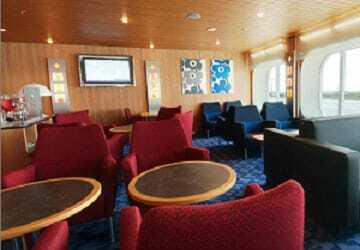 The Stena Britannica onboard ferry entertainment aims to keep kids and teenagers entertained with fun activities, while at the same time letting adults relax on their ferry journey. There's a children's area with toys and games and a teenager area with video games. 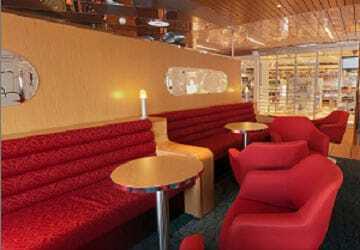 The Stena Hollandica is wheelchair friendly and features specially adapted cabins and elevators to all decks. Please Note: Whilst we have taken great care in making our Stena Britannica guide as accurate as possible, onboard facilities, services and entertainment may vary depending on the date and time of year that you travel, facilities mentioned may change without notification and ferry companies reserve the right to operate vessels other than those mentioned at time of booking without prior notification. I really appreciated this separated launch. If you don't want to be amongst noisy televisions and playing kids, this is a very good alternative for a reasonable price. Plus, the free coffee is of excellent quality. It was a pleasant enough crossing. 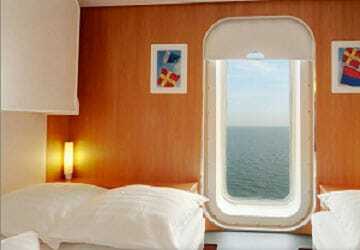 I drive through the night to get to Harwich port so can the sleep in the cabin. All I would say it why do they cross to arrive at rush-hour in Holland? I then drive on to Germany from Hook and the traffic is an absolute nightmare at the time they dock. 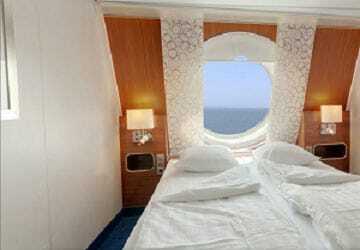 We had an inside cabin on both sailings. The facilities in the cabins were excellent and they were both very clean. We were impressed by the friendliness of the staff we dealt with both on the ferry and at the terminals. We'd definitely use Stena Line again! "Overnight Harwich to Hook of Holland"
Brilliant. Booking web site simple to follow. Number plate recognition speeds up check in which was just a couple of minutes. Comfort cabin was surprisingly good - large, well fitted out, full size shower and great beds. Breakfast quick and good. disembarkation smooth. And the return was the same. A great option to avoid the mess at Calais. 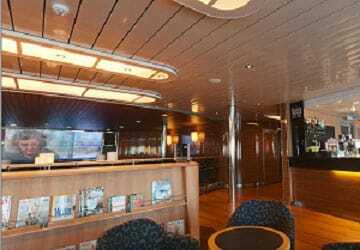 "Smooth crossing to The Hook"
Easy boarding, comfortable cabin and a pleasant dream-free crossing! A pleasant end to a wonderful holiday. I choose a cabin and overnight sailing to give my husband a break from driving. There were two minor discords with the trip. The first is that I have mobility problems and would normally use my mobility scooter to move around the ship. I had notified the company but the cabin would not have been wide enough to bring this or even a wheelchair in. As it was an overnight crossing only, we made do with the assistance of my husband and a folding walking aid. The second was the arrangements for breakfast and disembarkment the following morning. We were up early to disembark but were told we were not disembarking until 6.30am. Because other ferries I have travelled on like a quick disembarkment, I did not book a breakfast and found that we could not have a proper breakfast nor the alternative area did not open until much later. As a diabetic, I found this frustrating and could have been medically a problem and as a normal person, not being able to get a coffee was annoying. There was no notification about these facilities and so feel unhappy about the journey home. My family and I had a wonderful journey over to Hook of Holland on Stena Britannica and back to Harwich on Stenna Hollandica the following week. The ferries were clean and the public areas well serviced. The staff were very friendly and accommodating in the areas we visited on the ferries and the cinema choices and screenings were good. We were able to visit our pet dog who was travelling in the car once during our travel and found that he was happy and comfortable on the journey. My teenage sons found the computer area and TV area good to pass the time with and the seating areas were very comfortable. "Very convenient and comfortable trips"
This was our first time on the Harwich-Hook of Holland route. On the outward trip, everything was absolutely fine - all very straightforward and comfortable. On the way back, certain aspects of the experience really made it fantastic. First, at Hook of Holland, although we arrived very early we and everybody else were able to drive straight onto the ferry. This meant that we had plenty of time to settle down and relax in comfort after the long drive to the port. Second, because it was an overnight crossing, we had booked a cabin. We were both really very impressed with the facilities - extremely comfortable bunk beds, an excellent shower and all really very clean. We slept very well indeed and I was suitably refreshed by the time we arrived in Harwich for another long drive back home. This will now be our standard route for getting to the continent. "Smooth journey over the Channel"
A group of three humans and four cats, on their way from Northern Europe to Britain. Luckily we chose Stena from Hoek van Holland to Harwich. The border authorities were a bit fussy about the cats, but not overtly so. 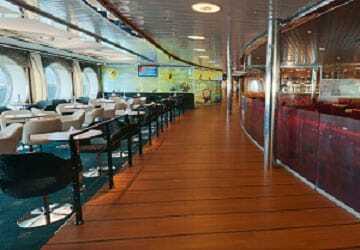 The cabins were and probably still are spacious, the breakfast good, the personnel on the ship most professional. We could get into the boat early, about two hours before sailing, had time to take the cats to the kennel in good time. One question though: why the cats could not travel in their owner´s cabin? 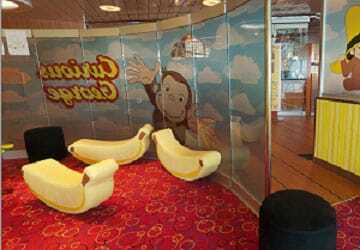 In a big ship like this one, there could be a few cabins to which people could take pets along. Put briefly: quite ok, even pleasant. "Harwich to Hoek van Holland"
A really pleasant experience for the whole family. Films on board helped pass the time for the boys aged 11 and 13 and you could also hire games and even a football or basketball to play on deck in the caged football area! Wind made that a bit difficult this time but a great idea. It was a very relaxing way to start the holiday and for those who need more rest you can also hire cabins when you get on board for a reasonable cost. We had a very pleasant journey once again. There's nothing to criticize-All went well! "Stress free trip to Holland"
From arriving at the port in Harwich to disembarking in Holland this trip was completely stress free. I travelled with my 15 year old son and his friend and as soon as we got on board they discovered the basketball court and spent the majority of the sailing playing basketball. The ship never seemed overcrowded and the sailing on the way to Holland was so still that you forgot you were actually on the sea. 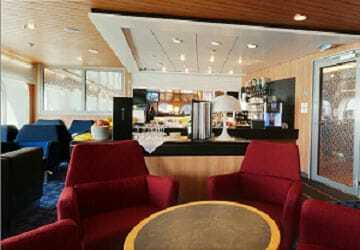 Spending the majority of the time on the ship alone did mean that I often lost my seat if I went to get a drink etc. but I soon found another place to sit. The weather was lovely so I spent a lot of the time on the ships deck. Disembarking in Holland was speedy and even though this was my first time driving abroad I found the roads easy to navigate. 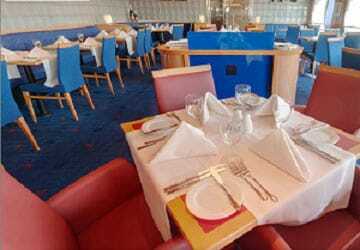 I ate on the ship on both sailings and the food was tasty if slightly expensive. If sailing again I think I would chose to sail overnight as we did lose a day of our holiday. Far less stressful than flying and I will definitely sail with Stena again.